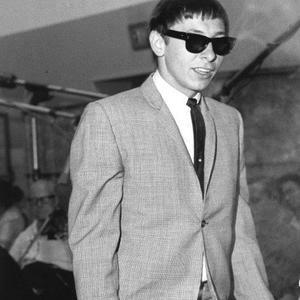 Bernard Alfred ("Jack") Nitzsche (Chicago, April 22, 1937 ? Hollywood, August 25, 2000) An important behind-the-scenes figure in popular music for 40 years, composer/songwriter/producer/arranger/studio musician Jack Nitzsche served a crucial function in 1960s rock & roll, from helping to create the legendary "wall of sound" to working with artists like The Rolling Stones and countless others. Nitzsche was also a capable writer who penned a couple of major hits and developed a career as a film composer that included nearly three dozen movie scores. Nitzsche grew up in Howard City, MI, which he left at 18 in 1955 to attend Westlake College of Music in Hollywood, CA; he remained based in the Los Angeles area for the rest of his career. After college in 1957 he found work as a music copyist. He was hired at Specialty Records by Sonny Bono, with whom he would work extensively over the next several years. He also worked at Capitol Records and Original Sound Records. At Original Sound, he wrote "Bongo Bongo Bongo," an instrumental that was recorded by Preston Epps as a follow-up to his hit "Bongo Rock." It made the national charts during the summer of 1960. Nitzsche's work with Spector stood him in good stead with another British Invasion group. In the fall of 1964, he played on sessions for the Rolling Stones album The Rolling Stones, Now!, beginning a long association with the group that would find him contributing to such Stones recordings as "Play with Fire," "Paint It, Black," and "You Can't Always Get What You Want" (choral arrangement). Nitzsche got his first film credit serving as musical director for The T.A.M.I. Show, a legendary concert movie filmed in November 1964 and released in January 1965. Also in 1965, he wrote his first film score, for the low-budget Village of the Giants, though it would be another five years before he really began to work in films consistently. In the meantime, he continued to produce, arrange, and record with a wide variety of musicians including Tim Buckley, Bobby Darin, Doris Day, Marianne Faithfull, Frankie Laine, and the Monkees. He began a long association with Neil Young when he wrote a string arrangement for Young's song "Expecting to Fly," which appeared on the Buffalo Springfield album Buffalo Springfield Again in 1967. When the Springfield broke up in 1968 and Young went solo, Nitzsche continued to work with him, co-producing and writing arrangements for his first solo album, Neil Young, in 1969. He also worked on Young's early '70s albums After the Gold Rush, Harvest, Time Fades Away, and Tonight's the Night, and returned for Life (1987) and Harvest Moon (1992). Nitzsche got his chance to return to movie work in 1970 with Performance, starring Mick Jagger. It really launched his career as a composer of film scores. By 1973, he was working on major studio films like The Exorcist, and in 1975 he earned an Academy Award nomination for his music to One Flew Over the Cuckoo's Nest. But in the late '70s, he accepted a few production jobs involving new wave rock performers, producing the first three albums by Mink DeVille and Graham Parker and the Rumor's celebrated Squeezing out Sparks. By the 1980s, however, he was working full-time on film scores, averaging two a year during the decade. He got another Academy Award nomination for An Officer and a Gentleman in 1982, and, with Will Jennings and Buffy Sainte-Marie (at the time, Nitzsche's wife), he won the Oscar for best song for "Up Where We Belong," which had already become a number one hit for Joe Cocker and Jennifer Warnes. Nitzsche's film work slowed after the early '90s, his last film score coming with The Crossing Guard in 1995. He died at 63 of cardiac arrest brought on by a bronchial infection.